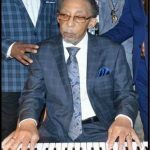 Hammond USA, makers of the iconic B-3 Organ and the red-hot Sk Series of Keyboards announces the lineup of their third “Sound Soul Summit” event to be held during the 2015 Winter NAMM Expo. 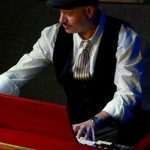 Friday, January 23rd 2015 will find eight of the greatest Keyboard players of the past 50 years onstage in the Hilton Hotel Atrium Lobby adjacent to the Anaheim California Convention Center. 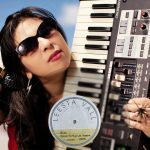 This will be the third year for the popular event which has seen such stars as Keith Emerson, Larry Goldings, Chester Thompson and Dr.Lonnie Smith thrill the packed house with incendiary performances. This year’s show will rock the house right away with Lynyrd Skynyrd’s keyboard man PETER KEYS leading his “All Time Low Stars” featuring Vocalist Derek St. Holmes and special surprise guests. Next up will be a dual jam starring DR. LONNIE SMITH performing with IKE STUBBLEFIELD in a rare meeting of these Jazz Giants. They will be joined by Japanese Harmonica Wizard KOEI TANAKA. Rock and Roll Hall Of Famer FELIX CAVALIERE and his band will follow, sure to raise the roof with a pair of Rascals hits. From the bands Yes, Asia, and the Buggles, Keyboard virtuoso GEOFF DOWNES and his special guests will dazzle with a special version of an evergreen YES blockbuster. 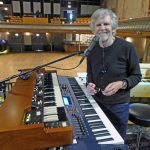 Another Rock and Roll Hall Of Fame alum will take the spotlight when GREGG ROLIE (Santana/Journey) slides behind the B-3 console and knocks out a few of his many hits . The Evening will end wjth the inimitable ELLIS HALL (Tower Of Power) in tandem with BILL CHAMPLIN (Chicago/Sons Of Champlin) in a Finale full of R&B Soul. The “House Band” for the event consists of JAY DITTAMO on Drums, JACK MAHER on Guitar, and DAVID ANDERSON on Bass. The event is free and open to the public. Showtime is 8pm sharp and will run 90 minutes. Attendees to the NAMM Expo will find the Sound Soul Summit artists (along with many others from the Hammond Family) appearing in the Hammond/Suzuki Booth 5100b at various times (consult schedule in booth). Where’s the VIDEOS of this past Event?? ?